The guarantee covers the entire device including power supply. There are no elements that would have a shorter warranty period. In the case of warranty repair, courier will be sent at our expense. We are operating continuously since 1992. NESTEC has earned the trust and respect of customers for all these years. That obliges us to continue providing great support and customer service. 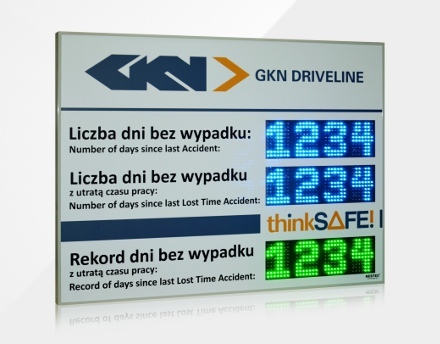 Indispensable when you need to display any information directly from a PLC or your system. We produce them in several variants with interfaces like Profibus-DP, Modbus-RTU, Modbus-TCP and others. Measure parameters, the pace of work, or count of units on the production line. 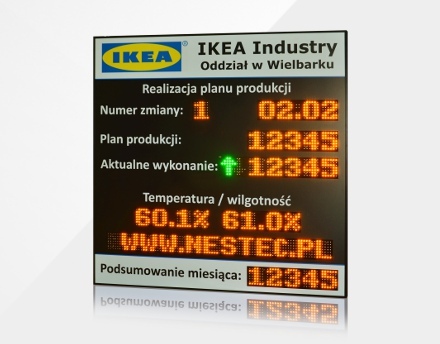 The result will appear directly on the large industrial LED display. 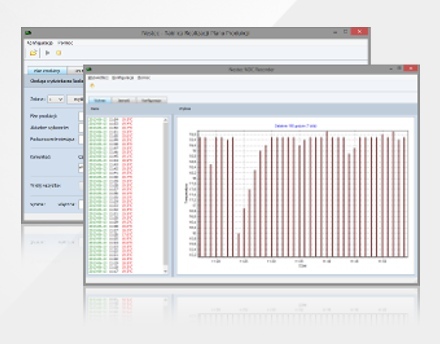 If you wish, you can also upload measured data online to your own system. 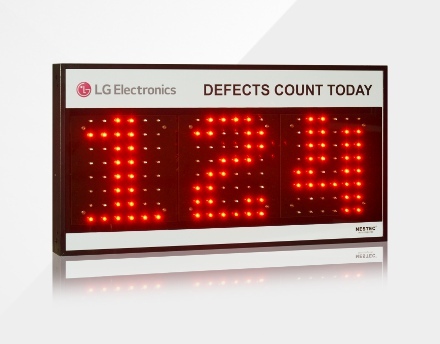 These industrial production displays monitor line efficiency and work progress. Use them to motivate your personnel to efficient execution of production plan. 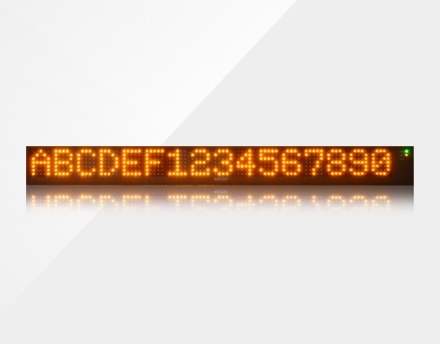 LED scoreboards may record all incoming data. Managing is very easy and is done through the network. 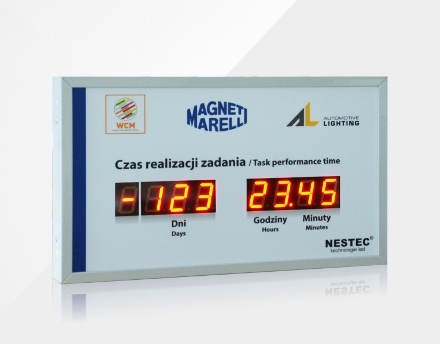 NESTEC industrial timers help you to solve major problem of failing to meet deadlines at work. Necessary tool for large, time-consuming tasks, like installation or repairment. They show time left to a deadline, and also exceeded time. Project leader has preview via the network. 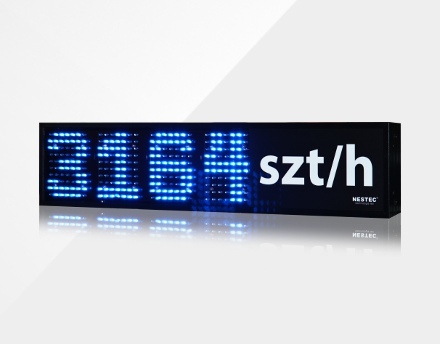 If you need something else than universal LED display or typical measuring equipment, we will design custom device fo you. Even single items will have reasonable prices. Simply let us know what functionality you need. Get acquainted with problems on your production line. Examine unplanned stops and lost time. 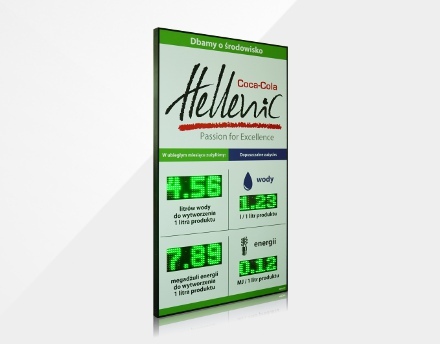 This software may run standalone or cooperate with our LED boards. It collects data, sends reports, triggers alerts. Is environment protection important for your company? If yes, take advantage of it to improve the brand image. Show your guests and employees environmental KPIs, amount of energy and natural resources needed to manufacture each product unit. Excellent solution when you want to motivate your employees to more attentive and careful performing of their tasks. Counters of days without an accident have a great psychological influence on workers’ behaviour. This results in increasing workplace safety. 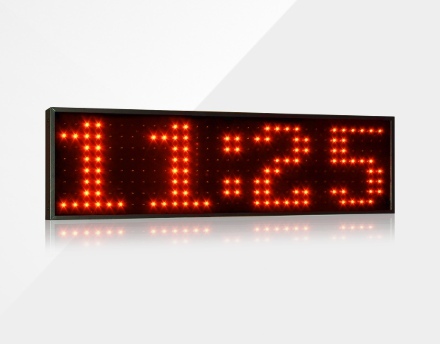 We produce LED clocks in two versions: standalone and for building network of clocks. They can be synchronized with each other, even wirelessly. If you like, they will indicate breaks and shifts at work by using siren. They may also display temperature and humidity. 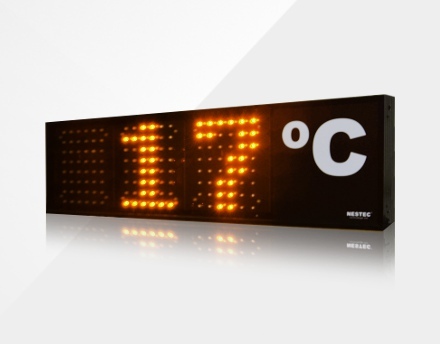 Dedicated LED displays for measuring temperature, humidity, or both of these values. They are excellent solution when you do not need the clock functionality. You may also use them to remote measurement and sharing results online. 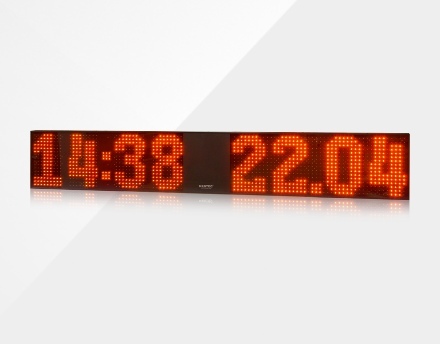 Grand LED clocks which emphasize the rank of your company. They attract attention from afar and makes your headquarters very recognizable place. The look of these devices may be personalized by placing logo and colours of your enterprise, to meet your expectations.